If you are expressing yourself with your nails, don’t make the mistake of appearing boring. We know the professional expertise of dramatic digits can be pricey, but we have the manicure must-haves that will bring instant glamour to your fingertips for a fraction of the price. Instant nail color is as innovative as the iPhone. Essie Sleek Stick Nail Appliqués' high fashion patterns are inspired by the most sophisticated materials, so each nail design looks like it was hand crafted. 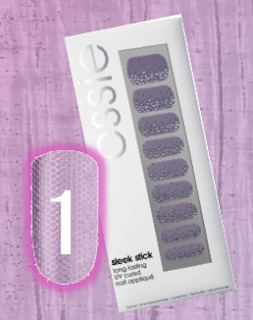 Inspired by the UV gel technology in salons, Sleek Stick Nail Appliqués have been UV cured and provide long lasting wear with a high gloss finish. These sleek sticks are so easy, all of your friends will want a piece of the action – so it’s up to you to give ‘em the finger. The greatest gripe of gel polish is that color options are limited – well you can now dream in Technicolor with this fast drying finish. Polish Seal provides the nail lacquer with long-lasting protection and a high-gloss and scratch resistant surface. Watch the magic happen as polish hardens in just 3 minutes in a UV lamp or under a minimum 60 watt light bulb (read: easy to change nail color then shove hands into your gloves as fast as you can). It’s easy to love freshly painted paws, but for those of us who seek validation in varnish, we feel pretty lousy when we suddenly spot a chip. Thus imagine our instant delight when we learned about this magic potion that promises to double the life of a manicure without causing any nail damage. 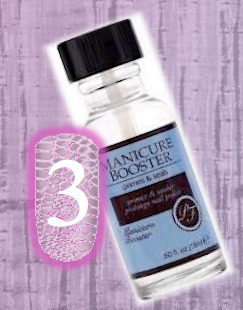 This double-duty beauty booster primes and seals polish to create a super strong shield against nail distress. If you love options, then you’ll have fun with these interlocking stackable collection. Consisting of three coordinating polish shades, this easy polish set allows for nail-art creation or calculated contouring. For the chemically-conscious consumer, this polish is formulated without DBP, toluene, and formaldehyde.